I plan to enroll in school to learn demolition and explosive technics for strip mining in the mountains..
At a press conference today, President Obama announced that he is ordering his face be placed on Mount Rushmore. 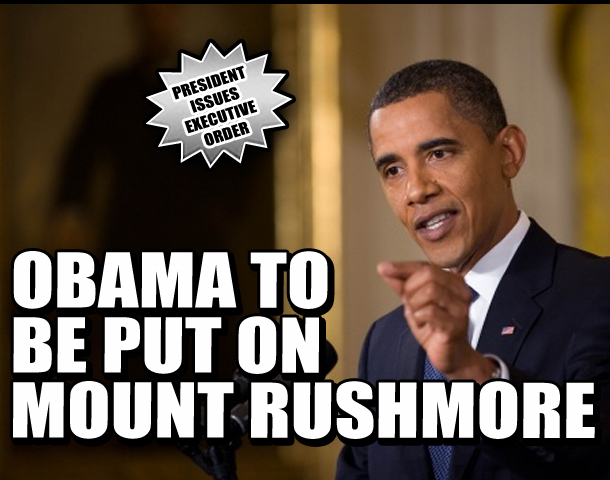 President Obama said that he has issued an Executive Order to immediately begin carving his face on Mount Rushmore. The President feels that this will create at least one thousand jobs and increase tourism in South Dakota. 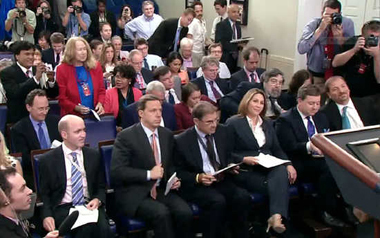 The White House Press Corps erupted in applause when the President made his announcement. Representatives from MSNBC, CBS, ABC, NBC, and NPR all wept openly. 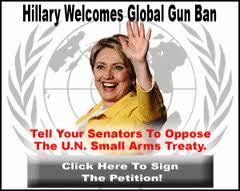 “He should be the ONLY one on Rushmore,” gushed MSNBC host Andrea Mitchell. 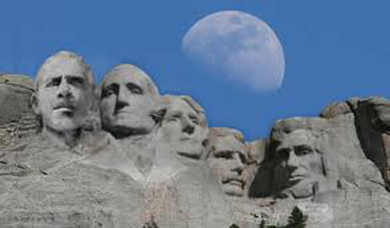 The last President under consideration to be carved into the mountains of South Dakota was Ronald Reagan. Reagan, considering the overwhelming support and acclaim he received from the American people, seemed a natural choice. The Congress approved of Reagan on Rushmore, but President Bill Clinton overruled the order.